In the cold, harsh months of winter, your snowblower can be your best friend. Gone are the days of breaking your back lifting a heavy shovel of snow – now you can depend on your gas-powered buddy to help clear the snow for you. But what happens when your snowblower breaks and needs to be repaired? And what exactly do you do with a snowblower when you’re done using it for the season? 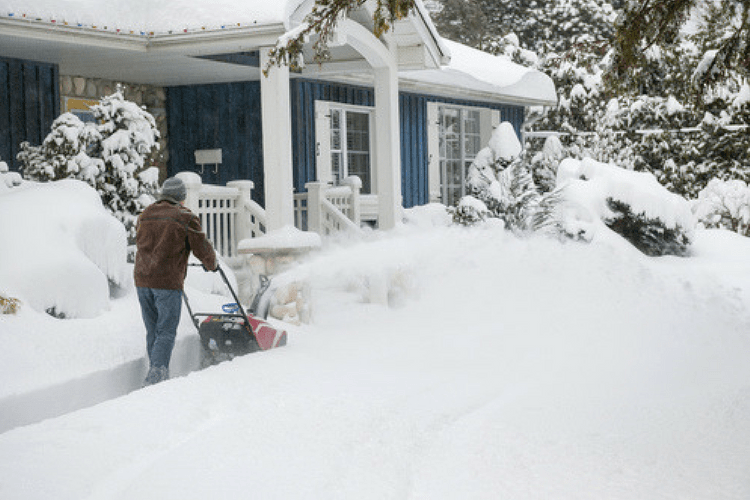 Read our Top 5 Repair & Storage Snowblower Maintenance Tips to learn more. Let’s start with the outside of your snowblower. Are your tires full? Just like caring for the tires on a car, you’ll want to be sure that your snowblowers tires aren’t in need of repair. Make sure that they are well inflated and when you’re done using the snowblower, clean the wheels and tires before storing. Before storing your snowblower for the winter, it can be helpful to treat your snowblowers tires to a thorough cleaning. How’s your auger? 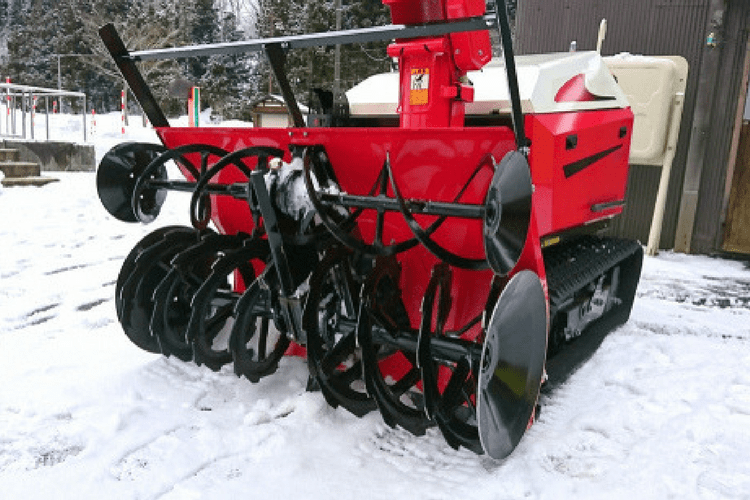 If you’re using a single stage snowblower, make sure that your auger isn’t worn down and is still pulling snow through the machine. There are pieces of rubber on this part of your snowblower that you’ll want to ensure stay well lubricated and aren’t given the opportunity to rot out. Now for internal snowblower repair & maintenance. We know you love your snowblower, but is there a spark? In all seriousness, it’s a good idea to check your spark plug every year, as carbon buildup and damage can prevent your snowblower from starting or working properly. Have you lost some weight? Check your belts! This is mostly for two-stage snowblowers: If your snowblower isn’t operating correctly, the belts could be in need of repair. Check the snowblowers belts for cracks, tears or excessive wear. Replace as needed. When you’re done using your snowblower and ready to store it for the season, treating your belts with Aerospace Protectant can prevent these wear and tears in the future. Fuel maintenance! It is critical that when you’re operating your snowblower, that you’re using a fuel system additive to discourage phase separation and encourage your trusty snowblowing friend to continue to work well. Using fuel stabilizers helps keep things running smoothly in your fuel system, whether you’re knee deep in a snowstorm every week, or if you’re in an area that doesn’t get dumped on as frequently. Keeping STA-BIL in your fuel system ensures that your snowblower will stay out of the shop (or off your tool bench) due to fuel system repairs and will keep your snowblower happy and corrosion free during the off months. There you have it. 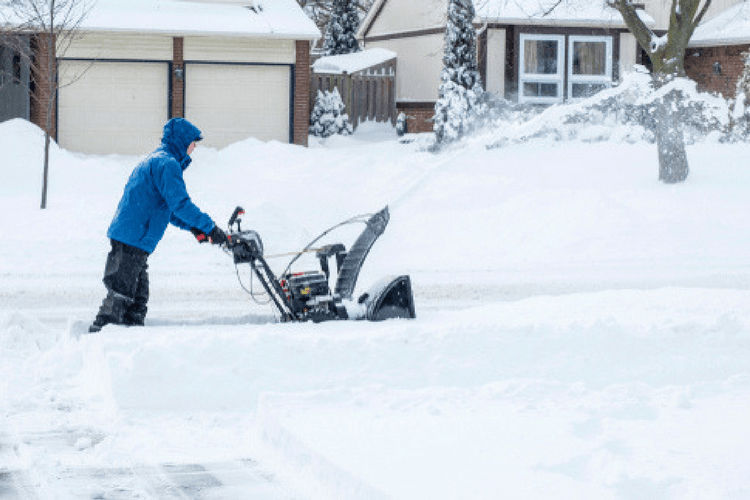 Five quick and easy snowblower repair, maintenance and storage tips to help keep your machine (and back) happy all winter. Can you think of any other tips that we may have missed here? Comment below! Just purchase sta-bil 360 performance for my snowblower. My question is should I also be using sta-bil stabilizer as I have been in the past. Hi Ron, you can use either one but don’t have to use both if you don’t want. STA-BIL 360 Performance will keep you fuel fresh for up to 12 months. If you are storing for longer, you can use STA-BIL Storage which will keep your fuel fresh for up to 24 months. Please contact us at marketing@goldeagle.com if you have any questions about this. I purchased a gas snowblower this year. Should I use StaBil 360 Performance in the gas year round? Hi, Melissa. Yes! It is recommended to be used at every fill-up and you can use it for storage. It will keep the fuel fresh for up to 12 months when your not using it!